A study led by the University of Southampton and King’s College London has shown that a higher registered nurse to patient ratio is linked to a reduced risk of inpatient death. The study of staffing levels in NHS hospitals, published in the online journal BMJ Open, found that in trusts where registered nurses had six or fewer patients to care for, the death rate for patients with medical conditions was 20 per cent lower than in those where they had more than 10. Hospitals with more doctors per bed also had lower death rates but hospitals with more unregistered nursing support workers may have had higher death rates. The study, by researchers from the University of Southampton, King’s College London, Karolinska Institutet, Stockholm and the New York School of Medicine, analysed two measures over two years (2009 – 11): the number of beds per registered nurse, doctor, and healthcare support worker in 137 acute care trusts; and the number of patients per ward nurse, drawn from a survey of just under 3,000 registered nurses in a nationally representative sample of 31 of these trusts (46 hospitals and 401 wards). They also calculated the predicted number of deaths for medical and surgical inpatients, taking account of influential factors, such as age, other underlying conditions, and number of emergency admissions during the previous 12 months. Among patients admitted to medical wards, higher death rates were associated with higher numbers of occupied beds for each registered nurse and for each doctor employed by the trust. By contrast, higher numbers of healthcare support workers were associated with higher rates of inpatient death. When all staff groups were included in the statistical analysis of all 137 trusts, the associations remained significant only for doctors and healthcare support workers. However analysis focussing on nurses working on wards of the subsidiary group of 31 trusts showed that the death rate was 20 per cent lower in those where each registered nurse cared for an average of six or fewer medical inpatients than in trusts were each registered nurse cared for 10 or more. These associations remained significant after further statistical analysis. The results on surgical wards were similar, with higher registered nurse to patient ratios associated with a 17 per cent lower inpatient death rate. 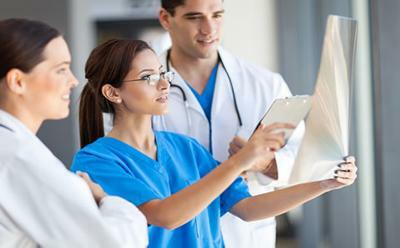 The registered nurse headcount varied at each Trust by as much as a factor of four between those at the top and bottom of the staffing scale. Even after taking account of all nursing staff, this variation only dropped to a threefold difference between those with the highest and lowest nurse headcounts. This is an observational study, so no firm conclusions can be drawn about cause and effect, added to which the findings on nurse to patient ratios are based on only 31 trusts. Previous research suggests that the nurse to patient ratio has an association with outcomes such as mortality, but few studies have taken account of the impact of other members of clinical staff. There is still not enough evidence on which to base firm recommendations on specific safe staffing levels in the UK, but policies geared towards substituting registered nurses with healthcare support workers (healthcare assistants and auxiliary nurses) should at the very least be reviewed, conclude the researchers. Jane Ball, Principal Research Fellow NIHR CLAHRC (Wessex), adds: “When determining the safety of nurse staffing on hospital wards, the level of registered nurse staffing is crucial; hospitals with higher levels of healthcare support workers have higher mortality rates.